Celebrities have been wheeled out to add glamour to next month's elections as 14m ballot papers are sent out in regions where people must vote by post. 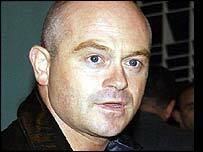 Ex-EastEnder Ross Kemp and Star Trek actor Patrick Stewart joined Labour Deputy PM John Prescott to encourage voters to use their postal ballot. 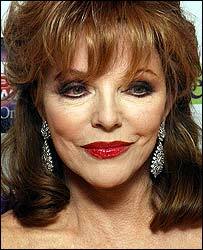 Meanwhile, former Dynasty star Joan Collins announced her support for the UK Independence Party. Green supporters include Twiggy and Body Shop founder Anita Roddick. The parties concerned will be hoping the celebrity backers will help boost their profile and capture the interest of the general public. There are elections for the European Parliament, various local councils and for London's Mayor and assembly on 10 June. On Tuesday, some 14m ballot papers are being dispatched to the North West, the North East, Yorkshire, Humberside and the East Midlands - areas where polls are being conducted entirely by post. To encourage people to use their postal vote, Mr Prescott worked the room at Labour Party headquarters in London with a host of celebs, including former EastEnders hardman Ross Kemp, actress Prunella Scales, Trudie Goodwin from ITV's The Bill, and Star Trek's Patrick Stewart, alias Captain Jean-Luc Picard. Mr Stewart said it was vital people used their vote, even if they voted against Labour in protest at the Iraq war. "It [postal voting] creates more of an opportunity for more people to vote, it is simple and straight forward, you can do it from your own kitchen," he said. "Hopefully it will get more people to do their civic duty." Mr Kemp said he would be using his postal vote next month and encouraged others to do the same. "I think this is a marvellous idea ... There is apathy out there and this is a good way to try to combat that," he said. Meanwhile, in Nottingham, actress Joan Collins added a touch of Hollywood to this year's election campaigns. She used a photocall to announce her membership of the UK Independence Party (UKIP) and her support for one of its European election candidates, ex-chat show host Robert Kilroy-Silk. The woman famed for her TV role as Dynasty's Alexis Colby said: "I do feel that my country - I am English - is losing a lot of what I grew up with. I feel we are eroding ourselves to Brussels. "I find it sad when I go to America and every single school proudly flies the Stars and Stripes that we can't do that or nobody seems to want to do that in this country. 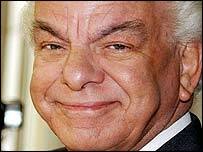 "I was extremely flattered to be asked when Robert Kilroy-Silk called me and asked me to be a patron of his party. I'm very happy that he is going to win it." Mr Kilroy-Silk, who quit his daily chat show in January, is standing in the East Midlands as an MEP. The celebrity bug has bitten the other major parties with the Lib Dems claiming the support of former film critic Barry Norman, Avengers' star Honor Blackman, actor Edward Woodward, writer and comedian Barry Cryer and broadcaster Sandi Toksvig. Formula 1 racing chief Eddie Jordan and celebrity chef Marco Pierre White are among recent celebrity supporters of the Conservative Party. "I do feel that my country is losing a lot of what I grew up with"